My interview with writers Jim McCann and Jen Van Meter is up now at Broken Frontier here. McCann wrote Return of the Dapper Men and Van Meter wrote Black Lightning: Year One, and I’m a fan of both. 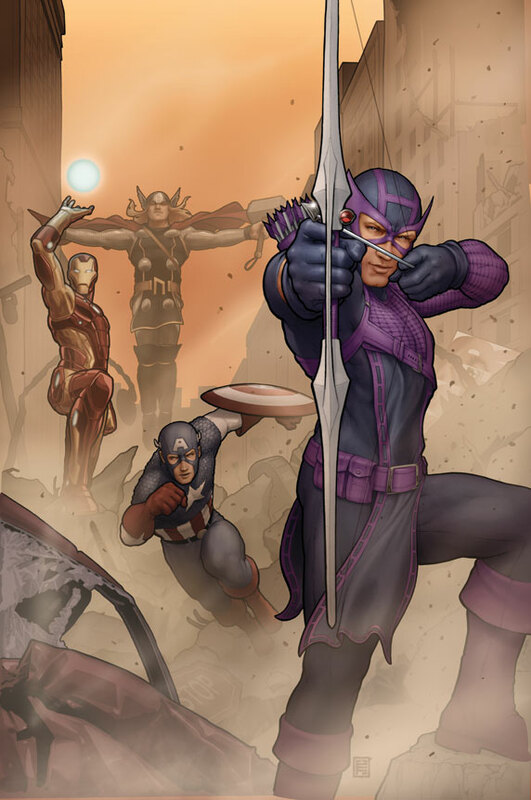 The pair are scribes of next week’s Avengers Solo mini-series that sees archer Hawkeye getting the spotlight with a backup tale starring Hank Pym. Look for the first ish on shelves on October 26.